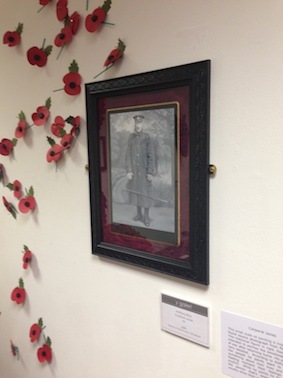 Anthony Rhys :: Y Galeri Caerphilly WW1 Exhibition. 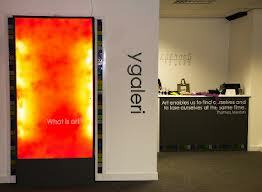 Home Page || Shows || Y Galeri Caerphilly WW1 Exhibition. 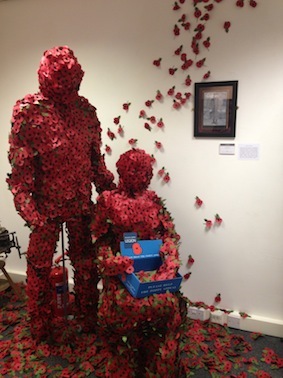 Y Galeri Caerphilly WW1 Exhibition. Y Galeri WW1 commemoration show August 2014. Corporal Jones was painted from a photograph of a soldier from Pontypridd taken by Thomas Forrest and Sons. The main artists in the show were Tracey Baker and Wendy Henley. It was a solemn exhibition as you would expect and paid tribute in a respectful way to those who fought. I will be having a small solo show in Y Galeri in February - March 2015. It'll feature a load of new paintings and the return of the creepy motion sensing talking paintings as well.